Now I know these are well-recognized and highly admired people but to tell the truth. I think they got it wrong. Here is why. Your thoughts come and go rather quickly so how can I build a new character and destiny based on a thought I had? It is true that we as people either act on a thought or not. I say that true habit-forming does not start in your head but in your heart. In the heart is where the true good and bad of a person resides. Because what comes out of a man or woman is what is in the heart. 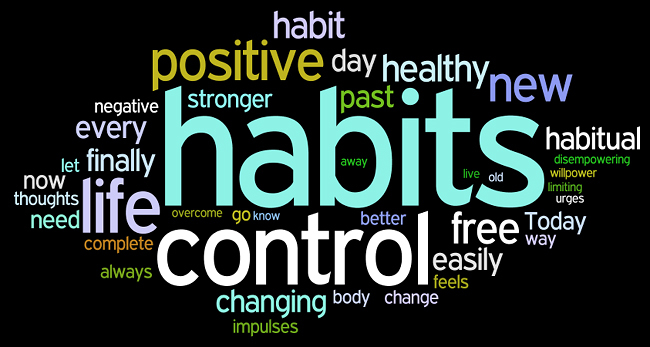 If you want to begin to build good habits asks yourself what is in your heart? Then start activities that directly contribute to accomplishing that thing that is your heart to do. So, if you want to purge yourself of bad habits and replace them with good ones first make the commitment in your heart and do not allow yourself to falter until you get there. Remember good habits don’t start in your head they start and end in your heart. The habit is just the result of the heart. Change the heart, change the habit.